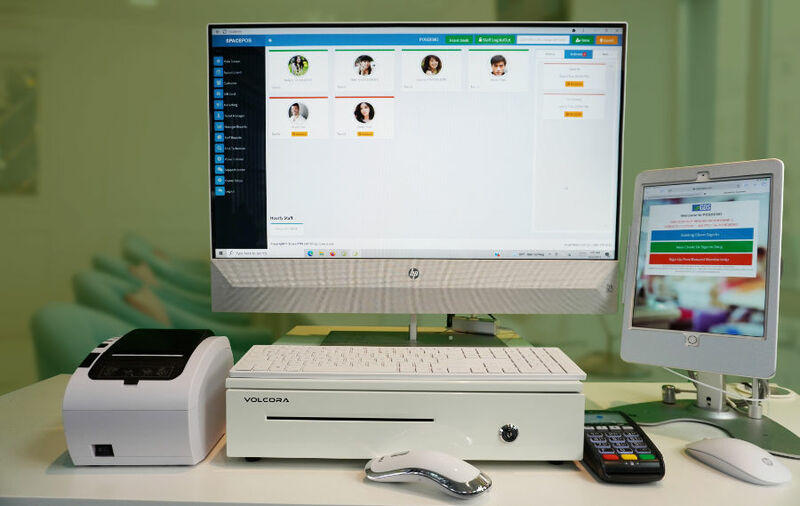 SpacePOS is a complete web based salon management & marketing software to help owners improve daily business operations and increase your income continuously with our extensive marketing system. Easy to use and access your software anywhere, anytime, on any device. Space POS have 2 software options for your salon. POS System and Customer Care System. Owner/Manager either select 1 of 3 options of turn management then system automatically track which technician goes next for service. System automatically calculate technician's commission percentage base upon services, tips, voided, refunded, supply costs as owner input at set-up. Save time and less phone calls, SpacePOS is simple and realtime appointment booking schedule. Customers book, owner view anywhere and anytime. Store customer's data and data management for business future grow. Customer is key of business growth, the Customer sign-in and sign-up system helping business collect customer's information. Sell Gift Card and using Gift Card Referral program to double your customer thru existing customers. VIP program is initiative of providing additional rewards for your most loyal customers. Owner and manager have access in realtime review and reports of the business's activities from anywhere and anytime. Everything you need to analyze, forecast, and report on sales activity for your Salon, including Commission Report for Technician. Collect customer feedback/review by Text Message or Front Desk Screen. Connect to Facebook, Google +, Yelp. Help your salon blast marketing email or promotions to all of you VIP customer stored in database. Copyright © Space POS LLC All rights reserved.